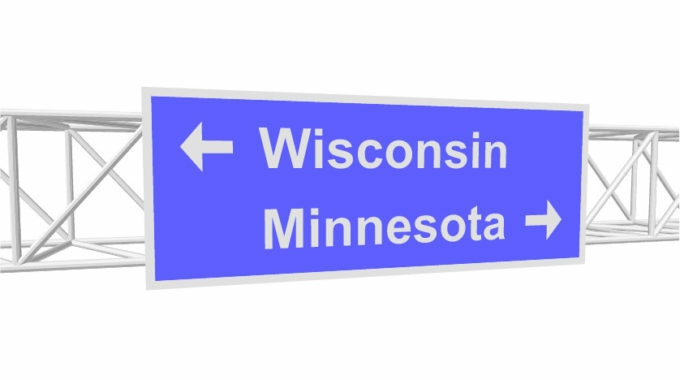 Minnesotans and Wisconsinites may not agree on much (cue Vikings and Packers banter), but those that live along the border know that great golf is never far. And the St. Croix River makes for a beautiful nearby attraction to many golf courses this side of the border. So, if you’re looking to enjoy fall golf along the eastern border of the Land of 10,000 Lakes, here are a few courses to try. If you are traveling from Hudson, Wisconsin, to StoneRidge Golf Club in Stillwater, Minnesota, it is just 11 minutes before you are teeing it up at one of the premier golf courses in the entire state. 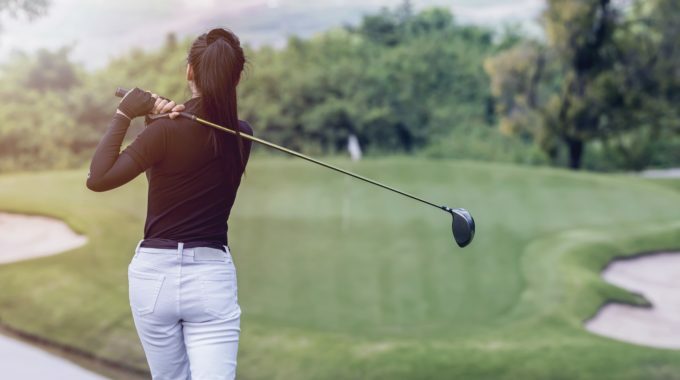 You’ll experience superior conditioning (particularly during this time of the year, when temperatures are perfect in Minnesota for growing grass) and an unsurpassed golf challenge in a bucolic setting. Huge green complexes and multiple tee settings make for a new challenge every round you play. And don’t miss the famous Barn Hole, where a remnant of the previous iteration of this rolling and tree-filled land provides a unique challenge. 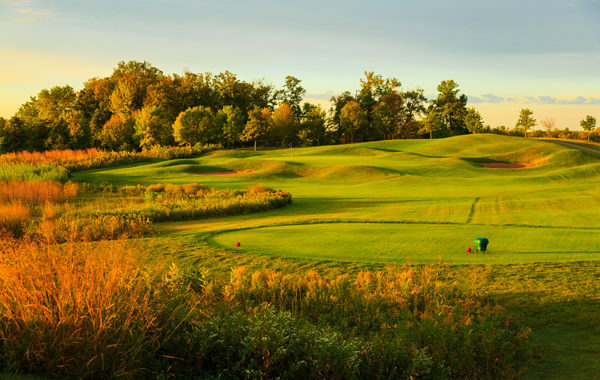 Prestwick Golf Club in Woodbury, just 16 miles from Hudson, is a rollicking ride through the hills and valleys of suburban Woodbury. With wood-shrouded fairways, dynamic elevation changes, and beguiling water hazards, Prestwick presents a great golf challenge and a fantastic array of unique and fun golf holes. Rated four stars by Golf Digest in 2006 and Midwest Golf Course Owners Association’s 2005 Course of the Year, Prestwick is not to be missed on your next trip across the St. Croix. Royal Golf Club in Lake Elmo (located 11 minutes from downtown Hudson) has a legacy borne of golf royalty. When the course was renovated for the 2018 season, Annika Sorenstam and Arnold Palmer each designed nine holes of the course (it was the late Palmer’s final design project). The course reworked the former 27-hole course into a master 18 holes of severe elevation changes, well-placed water and sand features, and unique golf challenges — all in a gorgeous woodland setting that Sorenstam said reminds her of the peace and beauty of her native Stockholm. If you hail from just a bit further north of Hudson, in say, Superior, which is on the “Minn-Scon” border, there are two more great courses worth a ride across the bridge over St. Louis Bay: Black Bear Golf Course in Carleton and Superior National in Lutsen. Black Bear is a challenging and beautiful track nestled amongst the beautiful hardwood forests of northern Minnesota. Make sure to catch it this fall, and then spend some time in the Black Bear casino after your round. Meanwhile, it’s a bit of a drive further north, along the majestic shores of Lake Superior, to Lutsen and the newly renovated Superior National course. Renowned architect Jeffrey Brauer recast 18 of the 27 holes of the course to make it more accessible and to open up some incredible vistas of old Gitche Gumee. It was an unparalleled success. So, whether you stick to the outskirts of the Twin Cities or explore the North Shore area this side of Lake Superior, you’re bound to find a great round of golf and sightseeing this fall.